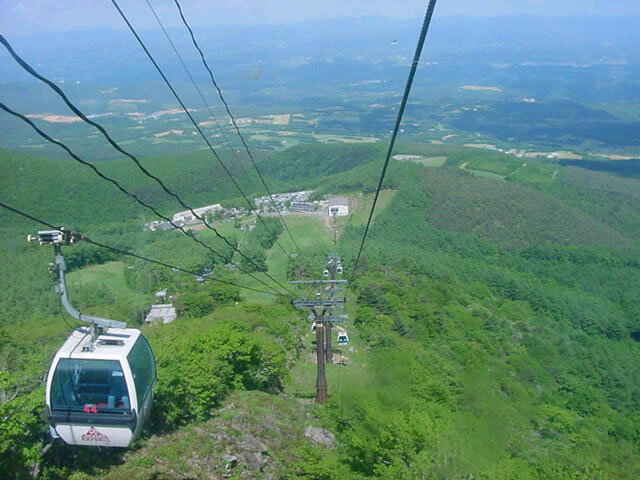 On the ropeway of the Fujikyu Adatara Resort, you can enjoy an aerial walk for about 10 minutes looking down at the majestic view. Under your eyes you can see the townscape of Fukushima and Koriyama as well as a wide variety of trees. If you walk about 5 minutes from the top of the ropeway summit station, Yakushidake Panorama Park at an altitude of 1,350 m spreads out before you and you can see dynamic scenery such as the Adatara mountain range, Azumakofuji and Zao mountain range, etc.